Have you all feel hot weather recently? The highest temperature can be ever reached to 40 degree celsius. The high heat radiation of the sun is the factor that causing me sweating a lot especially when I wear formal. As the pharmacy student, we have been requested to wear the formal all the time whenever attending the lecture or clerkship which mean most of the time we are wearing those thick formal shirt all the time under the hot sun. This definitely increases the intensity of my sweating. Even I sweat a lot, I still not really facing the heavy sweating as the other. Some may sweat like heavy rain. Tick...Tick...Tick~~~!!! The 'tick-tick' sound you can be heard when someone with heavy sweat problem walks into the class under the hot sun. Since we can't resist wearing formal, so what we can do is try to find other methods to control our perspiration. There are various ways you can control your perspiration. If you are rich, you can get a driver to send you to school so you do not even need to spare a time under such killing people hot sun. If you are not affordable to hire a driver, you can also try the alternative which use umbrella to block the sunlight. The umbrella can block the sunlight but not really can block the heat radiation from the sun. That's why it is just an alternative way for the poor people like me. Sometime, the short distance of the path toward the school under the sun will be seem like a few hundred kilometers for me to walk. 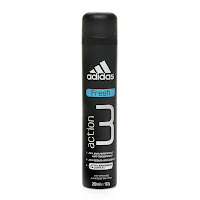 Even there are some people try to use the deodorant to control their sweating problem which has been found that cost-effective. It is another method to try to control the sweating. Eventhough I do not like sweating when I wear formal but I do enjoy sweating when I am exercising. Why? This is due to the sweating is a body detoxification mechanism, it will help to eliminate the toxic remain in our body. The toxic will be excreted as urea form. The sweat content primarily of water and dissolved substances such as sodium chloride (which we know as salt), urea (excreted toxic from the body) and also the other chemical (such as odorant). For the people with the hypertension, excreted of the salt through sweating can help to improve antihypertensive condition. Conclusion, I just hate to sweat when I wear formal. I know that there is impossible to totally no sweat but I really hope that I won't sweat when I am wearing formal. NO SWEAT FOR FORMAL ATTIRE~~~!!!! My smiling in a very I read this article.